The exact ancestors of the medieval horses are unknown. It is believed that the horses came from either Spain or the Middle East, brought back from the Crusades. Spanish horses were the most expensive to buy, and their horses were the most desired. Other places quality war horses originated from were France and Scandinavia. Successful horse breeding was very important to warfare, so many breeding centers were opened throughout Europe. Monks were known to breed some of the best horses, and they kept the most accurate records. The Spanish courser was more common than the destrier, and preferred for hard battle as they were light, fast and strong.They were valuable horses, but less expensive than the highly-prized destrier. The coursers were used in the armies as part of the cavalry. During medieval times, horses had many different jobs on the battle field. The fastest horses carried the lightly armed riders. The strongest horses carried the equipment. A horse’s personality and capabilities determined how it would be used. Unlike the destrier and palfrey, the courser was a fast and easily maneuverable horse. The courser was used as a messenger horse in armies and were sometimes used by kings to add speed to their travel. Coursers were known for their endurance but not for their refinement. Many of these horses were poorly trained, but they cost significantly less than the destrier and palfrey. Another horse commonly ridden during war was the rouncey, which was an all-purpose less expensive horse, which was also used as a pack animal. They were not as refined as the destrier and courser. The rouncy horse was mainly used to carry heavy objects and farm the land. They were usually heavier than the destrier, palfrey, and the courser. 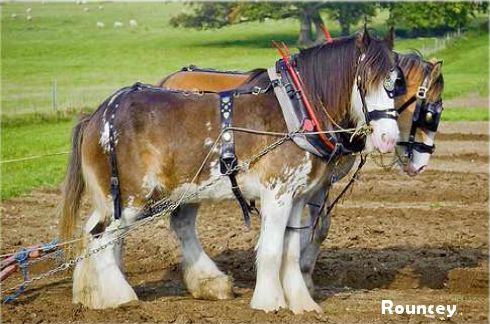 These horses were the farmers horse and were usually poorly trained. Rouncy horses had good endurance and could work in the fields or travel all day long. There was no special breeding that was associated with the rouncy. It was a horse for the lower class. The palfrey was the “everyday horse” of a knight. The palfrey was shorter and longer than a destrier, but their gait was much smoother which provided comfort for the rider when they were not in battle. Most noble women used the palfrey because of its smooth step and high quality. The palfrey was also used by lower level knights during battle. This horse was used for multiple purposes such as travel and battle. Palfreys were also known as Jennets. The Andalusian in medieval times. The Andalusian horse breed originated in Spain. It is a cross of two Iberian horse breeds. 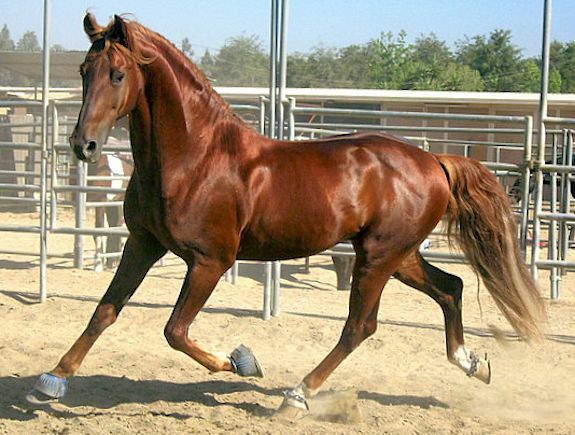 The Andalusian was used in medieval times as a breeding horse because of its strength, height, and agility. This breed is particulary known for their agility. The majority of Andalusian horses are grey or white, and the breed is always one color. They have a long flowing mane and tail. Coursers were also sometimes used for hunting. A popular past time of the Middle Ages was hunting. 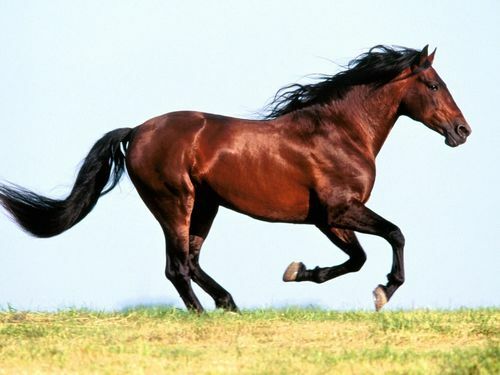 Noblemen brought their fastest horses to the hunting parties. Typically they would also bring hounds to track down animals such as deer, boar, wolves, and rabbits. The Courser was generally a tall and strong bodied bay or black horse with a deep head and a thick neck. The mane and tail were kept long so that the horse could flick away the biting flies in the summer. The Courser was an exciteable horse that ran and jumped well and with enthusiasm.